Check out our offer to get free web hosting for 6 months when you buy a new website in January. Using the technologically advanced wordpress content management system to create your website is an excellent solution to improving your current online status. WordPress has been around for some years now and does help to create a fantastic web design that you can easily update yourself with no limit on the amount of pages you add. We hand code our bespoke websites for any type of business but to prove how much we trust the power and flexibility of wordpress we have recently rebuilt one of our own company website's using wordpress. 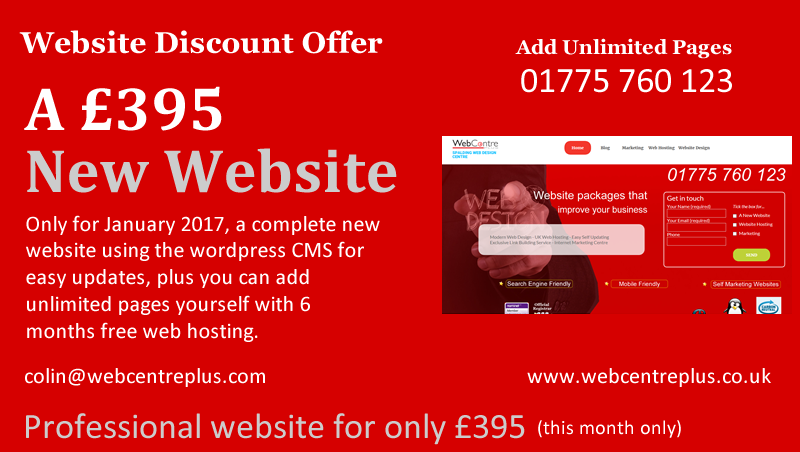 WordPress is a free CMS system, (content management system), this allows you to get a low cost professional website as all you pay for is our time in setting it up, incorporating the design and making sure it functions as it should.